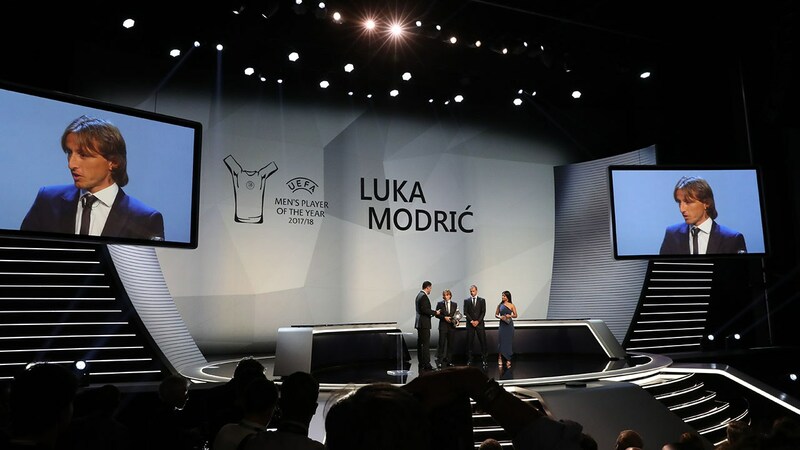 Luka Modric has been named as UEFA Men’s Player of the Year after leading Real Madrid to their third successive Champions League title. The Croatian, who enjoyed a surreal year for club and country, beat fellow nominees, Mohamed Salah and Cristiano Ronaldo, to the award. Ronaldo picked up as the Champions League’s best forward last campaign with Real Madrid after becoming the top scorer in the competition for a sixth-year running. Sergio Ramos was voted as the competition’s best defender last season, while Modric collected his second award after he was named as the best midfielder for his incredible tournament. Real and Costa Rica keeper, Keylor Navas made it four out of four award categories after he was named as the best goalkeeper of last season’s Champions League with Real Madrid. Wolfsburg’s Pernille Harder also won the UEFA Woman’s Player of the Year. Former Manchester United and Real Madrid star and football icon David Beckham received the president’s award for his work outside of football and the impact he had made throughout and after his career.